Is the CXO the Decision Marker? There has been a lot of debate about whether or not the CXO is the decision maker for where experience budgets are allocated. The answer is yes. 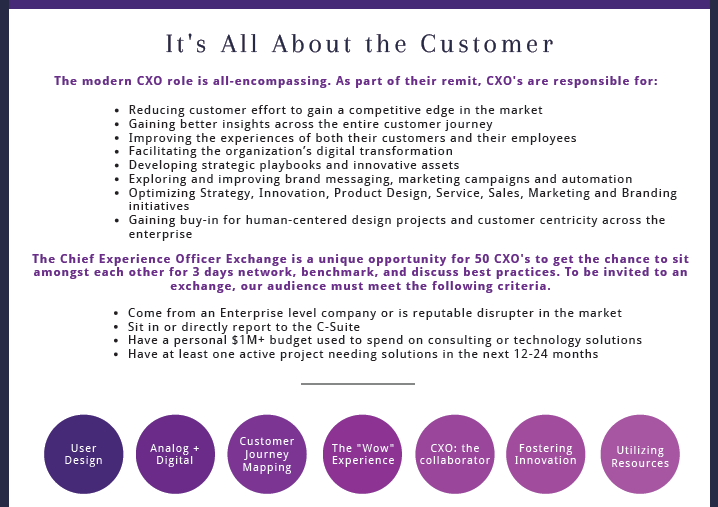 The CXO is the glue that holds their organization holistic experience together. They own all things experience from customer to employee. Our 50 CXO's want to sit down with the senior executives from strategic vendor categories to discuss their organization's active projects and initiatives.